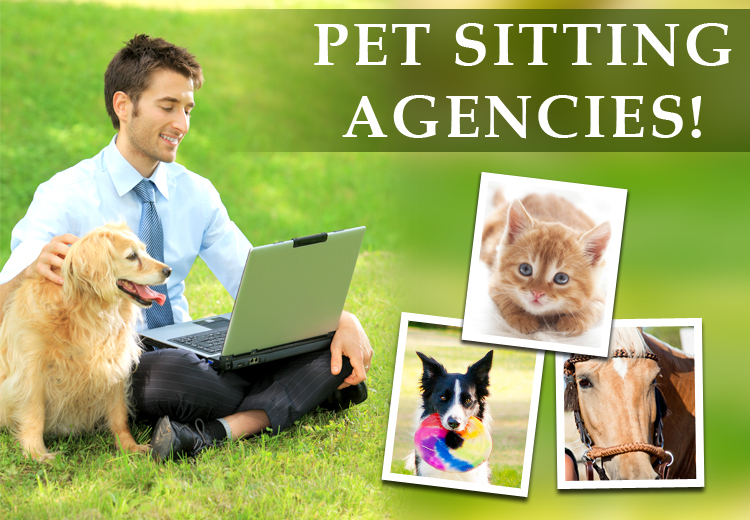 Why Pet Sitting agencies are becoming popular? It is summer time again and it is that time of year when you pack your bags and go to a peaceful place to unwind yourself. But the most difficult thing is to leave your pets behind. It has been observed that most pet-parents think of their pets as children. Hence, they would like to do the best possible thing to ensure that the pet remains in the pink of their health when they return from their vacation. This is when the thought of a pet sitting agency comes into mind. A pet sitting agency ensures that while you are away on your trip, they take care of your pet. If you have multiple pets, opting for a pet sitting agency is the best decision as the cost of home care is far less than boarding multiple pets at a boarding facility. It gives an added security to you that someone is there in your absence to take care of your pet and ensure that everything is under control, including watering the plants, bringing in your mail, keeping the lights on at home etc. Your pets can remain cozy in the familiar environment encompassing the smell and comforts that they are accustomed to, this can very well ease them up. Your pets do not miss you as they get one-on-one play time, quality time, and snuggle time in your absence. Professional pet sitting agencies hire professionals who can take care of your pets, including administering medicines and injections that your pet would require. Hence, you can relax and enjoy your trip without worrying about your pet. There is no fear of exposure to other animal’s illness or parasites. You can remain confident and poised about the fact that your pets are in the hands of a professional who can tackle any situation that may arise with calmness and assertiveness. You do not have to take any help from your neighbors and friends to take care of your pet in your absence. It is not very difficult to find a good pet sitting agency. You can always get the references when you Google them or alternatively you can even ask for recommendations from your friends and relatives. These agencies have lots of options available to them and so you can hire the best professional pet sitter for taking care of your pet in your absence. Before hiring a pet sitting agency it is better to ask them about the relevant experience they have in this domain, their charges, have they come across any pet emergency earlier, experiences about their bonding with pets, prior pet sitting jobs, and things that they will do if the pet tries to run away. Once they give satisfactory answers to the above questions, you can take the decision to hire them.